After what seems like forever, we've finally gotten our in-house podcast feed up and running. Just add that to your podcasting software or iTunes and you will be back on track with BoA:Audio. The new feed has our complete archive of Seasons III, Two, and One on there right now. We are working on getting the old feed removed from iTunes soon to avoid confusion. We'll also be going back over the BoA:Audio archive and switching all the podcast links over to the new feed so that newcomers will be up to speed. As such, the old feed will not be updated any longer (except for perhaps a mini soundbite alerting folks to the new feed) and the new feed will be where you can get the latest episodes. Thanks for your patience while we were working on this. It took longer than expected, but we wanted to be sure that we got it right and had a reliable in-house feed that will be accessible at all times. As usual, your feedback is appreciated. We're still working out some of the minor kinks in the new feed, but it is working very well on iTunes right now and will be 1000 times more reliable than our old feed. All new BoA:Audio episodes will return next weekend, May 3rd/4th. Preview forthcoming @ BoA sometime next week. Note: Due to some slight technical issues, the release of this episode has been delayed to Monday afternoon / evening. 1000 apologies. 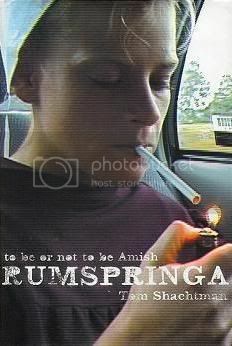 THIS WEEK: Tom Shachtman, "Rumspringa: To Be or Not to Be Amish"
BoA:Audio goes off the beaten path as we explore the Amish culture with our guest Tom Shachtman, author of Rumspringa: To Be or Not to Be Amish. We'll be discussing Shachtman's in-depth research into the Amish and their rite of passage known as Rumspringa, how it serves to strengthen the Amish community, why 80% of those going through Rumspringa end up joining the religion, their unique educational system, their use of banning as a means of discipline, how farming by the Amish is diminishing which has resulted in their mixing more with the mainstream, how the Amish feel about the tourism that surrounds their enclaves, Rumspringa's evolution over the years and how Shachtman sees it changing going into the future. And, of course, tons more. It's a rare glimpse into the mysterious Amish world that exists within America's borders. It's our Spring Break from the show. New episodes will resume either on April 26th or May 3rd. Stay tuned to BoA for details as April unfolds.